Clear glass desiccator to keep your laboratory chemicals. Petri dish, glass, 15 x 60 / 20 x 100 / 25 x 120 x / 30 x 150 mm dia. Desiccator, non-vacuum, clear glass, with porcelain plate, 210 / 240 / 300 mm dia. 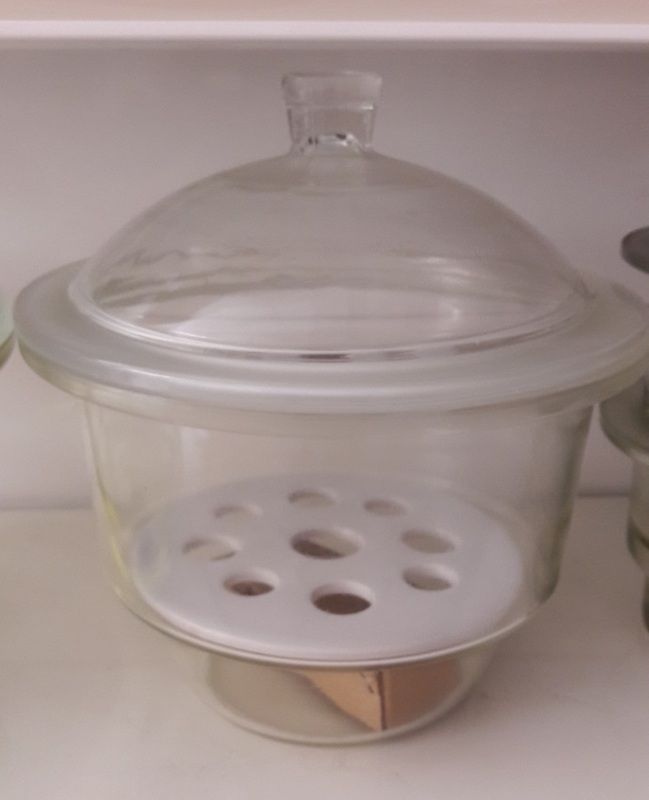 Desiccator, non-vacuum, amber glass, with porcelain plate, 240 mm dia. Desiccator, vacuum, clear glass, with ground-in stopcock & porcelain plate, 210 / 240 / 300 mm dia. All glass mortar & pestle, 40 x 75 / 50 x 90 / 60 x 120 mm dia. Funnel, glass, short stem, 50 / 60 / 75 / 90 mm dia. Porcelain Mortar & Pestle, glazed, 80/100/130/160/216 mm dia.